Home » cetop - News » International Conference "Hydraulic and Pneumatic Drives and Controls 2018"
International Conference "Hydraulic and Pneumatic Drives and Controls 2018"
The International Scientific-Technical Conference: Hydraulic and Pneumatic Drives and Controls 2018, Condition, Need, Expectations and Possibilities. 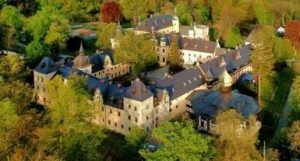 Work, Mining, Construction and Technology Machines takes place at Kliczków Castle, Poland, 7-9 November 2018. Co-organizer of this event is the polish fluid power association Corporation Poland. This onference is the largest and most important national forum for the exchange of concepts, experiences and opportunities in the field of fluid technology. It has an international character and has been covered, among others the patronage of the European Committee for Hydraulics and Pneumatics (CETOP). The guiding idea of the conference is to enable the presentation of views and exchange of experiences between each, even the smallest, sector entity. Understanding the needs and expectations of each party will enable the actual determination of the current state of the industry and the outlining of its future, especially in relation to the concept of "Industry 4.0" and the broadly understood innovativeness of the sector. The intention of the organizers is to initiate a serious and deep discussion in these areas. Discussing the above issues, the future of the domestic hydraulics and pneumatics sector will become less unpredictable, which we will undoubtedly benefit from. Government plans for the modernization and expansion of waterways, construction of road infrastructure (north-south) and residential construction are challenges that our industry must certainly be prepared for. Everywhere there will be needed machines, whose heart will undoubtedly be hydraulic and pneumatic drives and controls. Everyone is invited to take an active part not only in participation in the conference but also in its promotion.